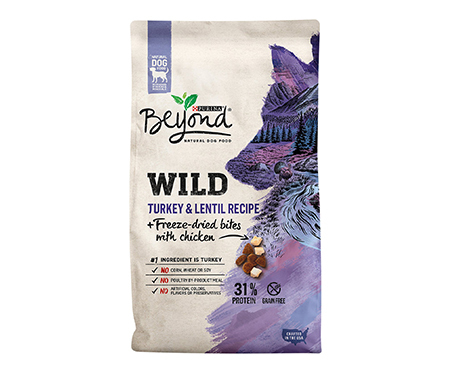 Tend to your furry friend’s nutritional needs with Purina Beyond Wild Turkey & Lentil Recipe + Freeze-Dried Bites with Chicken Dry Dog Food. 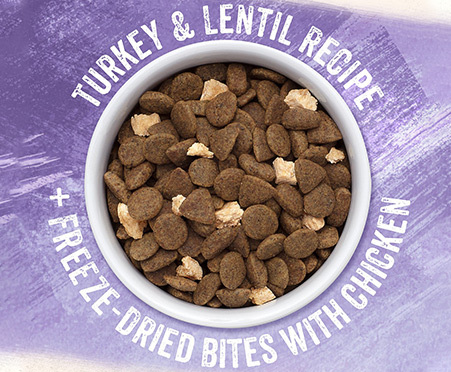 This protein-rich recipe features U.S. farm-raised turkey as the #1 ingredient, along with freeze-dried bites with chicken, to give your canine companion the nutrient-dense food he craves. Each serving contains enough protein to help your dog maintain lean muscle, so he can live wild and seek out new adventures. This grain-free meal delivers high-quality protein in every delicious bite. Take comfort in knowing your pal is getting a wholesome meal since it’s made without artificial colors, flavors or preservatives, and without any poultry by-product meal. He will get the taste and texture he loves, along with a high-quality dog food that meets all your ingredient criteria. 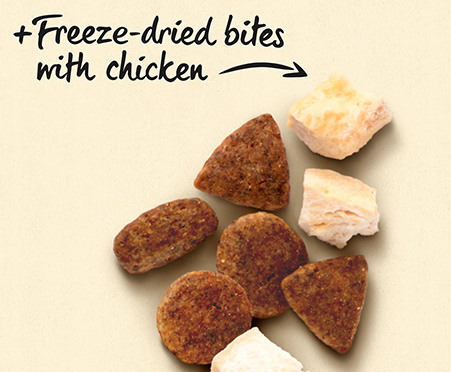 Nutritious dry dog food made with U.S. farm-raised turkey and freeze-dried bites with chicken for a protein-rich meal your pal craves. 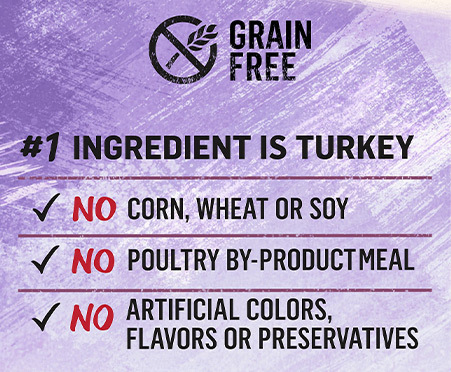 Turkey is the #1 ingredient for a high-quality source of protein and amino acids, plus a natural source of glucosamine for joint health and mobility. Contains the necessary nutrients to help your dog maintain lean muscles, so he can live a healthy lifestyle and seek out new adventures. Healthy formula that gives your dog the energy he needs to live an active lifestyle, so he can seek out new adventures every day.